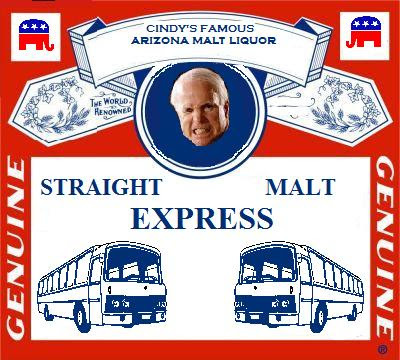 "Hensley & Co., one of the nation's major beer wholesalers, has brought the family of Cindy McCain wealth, prestige and influence in Phoenix, but it could also create conflicts for her husband, Sen. John McCain, if he is elected president in November. The involvement of McCain's family in federal regulatory issues could create a conflict of interest for a future McCain administration, according to advocacy groups and political analysts. McCain has recused himself for many years on alcohol issues in the Senate. As president, however, McCain would face far more difficulty distancing himself from an issue with such broad scope. Cindy McCain holds the title of company chairwoman and controls about 68% of the privately held company stock with her children and the senator's son, according to records at the Arizona Department of Liquor License and Control. Cindy and John McCain keep their finances separate, and he has no stake or role in Hensley. In an interview in May, she said she knew "everything that is going on" and communicated with her executive team every day. She added that she did not need to be at headquarters to be in charge. So far, she has given no hint of what changes, if any, she envisions. "That's very premature," she said. If her husband is elected president and she retains her role at Hensley, she will set a precedent for outside corporate activity by a first lady. The McCain campaign issued a statement Friday about the issue, saying that "any decisions going forward will be made when John McCain wins the election and takes office, and not before." Hensley executives declined to comment. Political analysts said they were astounded that the presumptive Republican nominee had not already addressed the issue. "You can't run a beer company out of the White House," said Samuel L. Popkin, a political science professor at UC San Diego. "You can't run any company from the White House. McCain is leaving a live hand grenade on the table, a major embarrassment."